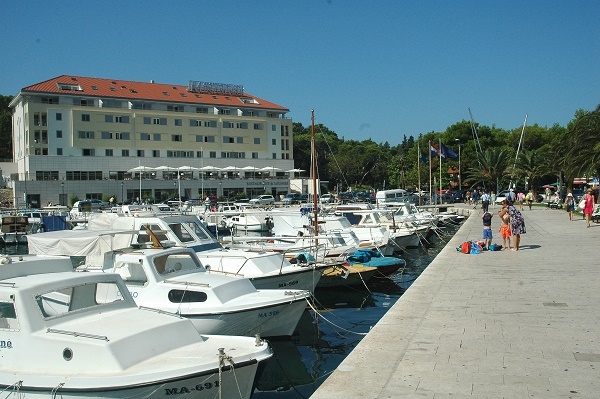 People relocating to Croatia will find the country’s climate pleasing, especially those who enjoy a touch of the Mediterranean vibe. With an emerging and developing economy, those moving to Croatia will be welcomed with an excellent opportunity to start a great new life abroad. Most of the immigrants in Croatia come from Serbia. If you dream of walking along the Mediterranean coastline to watch the beautiful European sunset, then Croatia's 1778 kilometers of sandy beaches should be enough to lure you to your next home. And if you're not into sunny landscapes, then soak in the warm embrace of Croatia's thermal spas, or go on a little adventure in its pristine forests. But more than the inviting, postcard-worthy sights, Croatia offers expats the chance for a relaxed lifestyle in a developing economy. Now, that's a perfect combination for any expat who wants to start anew! A country located in central and southeastern Europe, Croatia is a land of diverse terrains. Green plains and hills cover most of Central Croatia while mountains are covered with dense woodlands in Lika and Gorski Kotar. Towns near the Adriatic border showcase rocky coastlines. Due to the country's varied topography, the climate tends to differ in its various regions. The north and eastern regions are continental, while the coastlines go from Mediterranean to semi-highland as it goes further near the south-central parts. In the islands of Istra and Palagruza, the climate leans more on sub-tropical. As of July 2009, Croatia has 4,489,409 inhabitants. The country is mostly populated by Croats (89.6%) while Serbs make up about 4.5%. A spattering of Romanis, Bosniaks, Hungarians, Italians, Czechs, and Germans comprise about 5.9% percent of the population. Croatia has about 1.59 migrants per 1000 people. 88% of the Croatian population are Catholics while 4.4 % are Orthodox, and 1.3% are Muslim. Interestingly, 5.2% declare no religious affiliation. Relocating to Croatia would be a breeze if an expat is already aware of the documents required for entry: A work visa, a business or work permit (usually provided by the employer), passport, two passport photos, birth certificate, job details including length of stay, criminal background check, proof of sufficient funds and inventory. An expat must report to the nearest Croatian police station within 24 hours of arrival in Croatia and apply for an extended residency permit. Some hotels apply for the permit on behalf of their client. You can bring used household items duty-free as long as you can prove that they belonged to you for more than 6 months. Electronic appliances should be 220V, 50 Hz. For customs clearance of household goods, you do not have to be present, except when importing used motor vehicles. For used motor vehicles, it is duty-free for as long as you owned it for more than 6 months, and you can present its Certificate of Registration and title. Import customs clearance may take up to 1-2 days. Removal companies in Croatia can help make your move easier as they will be taking care of overseas shipping service and documentation. To be exempt from paying customs taxes, remember not to bring more than 200 cigarettes, 50 cigars, and 250 grams of tobacco, 1/4 liter of eau de cologne, a bottle of perfume, a liter of wine and a 2 liter of spirits, and a reasonable amount of medicines. For prescribed drugs, bring a letter from your doctor. An expat can bring in an unlimited amount of foreign currency but not more than 15,000 Kunas (HRK). Movers in Croatia can facilitate a faster relocation process for you and your family. Nestled in the midst of Central Europe and the Balkans is Croatia. This country is a paradise to expats who yearn for an opportunity to succeed while living in a Mediterranean home where miles of white pebbled-beaches are hugged by sapphire and emerald coloured waters. 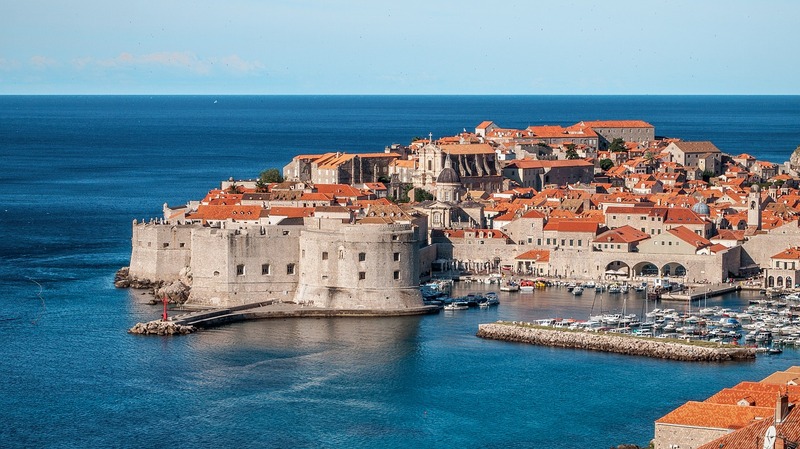 A country situated in Central and Southeastern Europe along the thousand-island coastline of the Adriatic Sea, the country has thrived on its tourism revenues due to its timeless Central European charm. Tourism helped alleviate the country's economic slump caused by the civil war years from 1991 to 1995. Today, the newest member of the European Union has an estimated total population of 4.2 million. Residents of this country, particularly those living in the capital Zagreb say that they are satisfied with their quality of life. 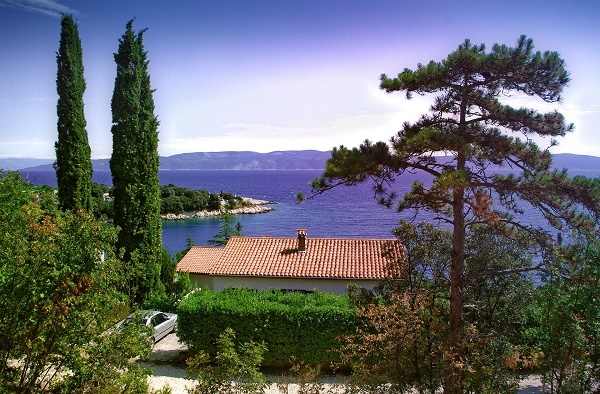 Living in Croatia for expats is a true example of mixing business and leisure. Picturesque Croatia is a haven where its primeval beauty gives children a sense of adventure. Croatia's coastlines boast of beautiful coves peppered with uninhabited, untouched islands that you can explore with your kids. Plitvice Lakes Natural Park is Croatia's most popular park, a paradise of 16 turquoise lakes which spills over to waterfalls in a protected 19.5 hectares of woodland, located between Zagreb and Zadar. A wooden walkway will allow your kids to walk above the watery wonderland of all 16 lakes and waterfalls and hike through guided trails. The lakes are so pristine that the water is safe for drinking, which is also the main reason swimming is not allowed. UNESCO named the park a World Heritage Site. When roaming around the cities, Dubrovnik is the place to be. Expats will see here the two-kilometre thick walls, punctuated with towers overlooking the city, constructed to surround the city. Construction dates back to the 12th century. Also, your kids can visit Diocletian's Palace, built by an emperor as his legacy. The palace dates back to the Middle Ages, and its architecture is a mixture of Gothic and Baroque. Children will enjoy going around Croatia, acquiring a rich cultural experience at every stop. With its multi-cultural influences, it will be quite hard to define an original Croatian dish. Those who will stay in the eastern regions such as Baranja and Slavonija shouldn’t miss tasting the kulenova or spicy sausage as well as the locals’ version of spicy shepherd stew which they call Čobanac. In the Central Croatia, newcomers will notice that some of the most commonly served dishes are the štrukli (pasta filled with cheese), purica s mlincima (baked turkey with special pastry) and fresh Sir i vrhnje (sour cream mixed with cottage cheese). Expats who will move somewhere in the mountain regions of Croatia will find plenty of meals made from wild meat, berries and mushrooms. One of the most favourite local foods in this area is the police which is a sumptuous dish of oven-baked potatoes covered with a generous amount of bacons. Croatia also has a growing number of establishments that served typical fast-foods such as pizzas and hamburgers. Other must-tries in this country are the local desserts such as kremšnite (creamy cake), Paprenjaci (pepper cookies) and bučnica (pumpkin and cheese). Croatians value their downtime and their personal relationships so much they always have time for “kava" or coffee. Chatting with friends and family over coffee in cafes around the city all day long is the norm. Expats in Croatia can surely adapt to the wonderful "café way of life". Time seems to slow down if you're living in Croatia. If you're used to equating your every minute with something productive business-wise, moving to Croatia might change your outlook. In Croatia, learn to sit back and relax. Business rarely interferes with their weekends and is usually spent with family and friends. As a family-oriented nation, locals do not allow their elderly to go to nursing homes. Thus it is common for them to live in extended families. If you get invited into their home, remember to bring flowers for the hostess and a box of chocolates or a bottle of wine for the host. Do not bring chrysanthemums, as these are funeral flowers and make sure the numbers of stems sum up to an odd number. Leave a small amount of food on your plate to indicate that you're done eating. If you're eating out, it's considered impolite not to tip at upscale restaurants. However it is not expected at informal restaurants.